1- Marriage is indeed a sacred bond that brings together a man and a woman by virtue of the teachings of the Qur’an and the Sunnah. Thus, each partner in this sacred relationship must treat the other beautifully and properly. 2- A man must not divorce his wife to bring harm upon her, as this constitutes an act that demolishes this noble establishment, breaks the woman’s heart, and possibly separates the woman from her children without any reason. 3- The separation between a man and his wife [without just reason] was considered one of the major and grave sins, and one of the most beloved actions of Satan, as was narrated in a number of hadiths. It is also forbidden for a woman to ask for a divorce without a sensible reason. 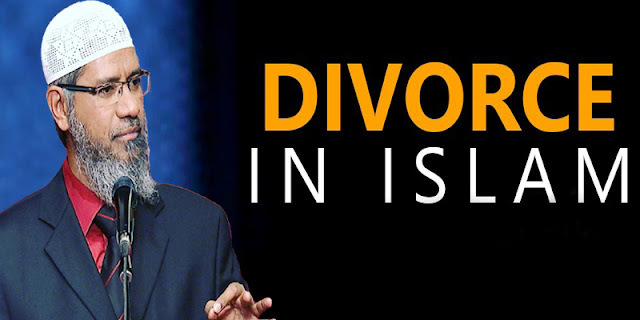 Generally speaking, divorce is not at all viewed favorably in Islam; rather it has been either condemned or discouraged unless warranted by valid reasons. So no one with the sound Islamic spirit and attitude must resort to divorce except in extreme and unavoidable cases, where it has been considered as legitimate in Islam. The reason for this is clear, for divorce entails dire consequences affecting families and individuals; it results in deep psychological and emotional scars, especially when children are involved. Because of such factors and others, Islam considers marriage a solemn contract (mithaq ghalizh) and reckons it as the duty of both parties who have entered into such contract by invoking God’s name and words, to seek to preserve it intact according to the best of their abilities. For future of humanity lies in the sound family which is the cornerstone of society. 1- Seek counsel from those who possess wisdom, experience, and knowledge and seek to solve the outstanding issues between yourselves after gaining insight and advice from them. 2- In the event that such efforts fail, both spouses must resort to Islamic arbitration; in this arbitration one should have parties representing both sides. They should submit to abide by the decisions thus agreed upon. The reason for this is that often humans become so preoccupied with their temporary personal likes and dislikes that they fail to see their own destructive behaviors and weaknesses. Thus they are encouraged to seek advice and wisdom from those with experience and knowledge, who may help them to empower themselves to take charge of rectifying their behavior and attitudes. 1- Physical, mental, or emotional abuse or torture. When one of the spouses becomes abusive and inflicts physical, mental, or emotional torture, and is not willing to change by taking practical measures through therapy or counseling, then it is a valid reason for seeking divorce, for the Islamic principle states, “There shall be no inflicting or receiving of harm.”Zhulm (injustice) is not tolerated in Islam, regardless of who the perpetrator is. 2- Failure to fulfill the objectives and purposes for which marriage was initiated. This can be utter incompatibility between the partners, which may be expressed by their irreconcilable differences in temperaments, likes, and dislikes. 3- Marital infidelity. This can be a major cause for dissolution of marriage, for marriage is built on trust and confidence. Its main purpose is to preserve the chastity and modesty of those involved. Once this foundation is eroded and undermined and there is no chance to restore the same, then divorce is the way to go. 4- Failure of the husband to provide. When the man, who is considered the provider and maintainer of the family, fails to shoulder his responsibilities and the wife decides that she cannot continue tolerating his shirking of responsibility, this is grounds for divorce. Any one of the above-mentioned reasons can be considered as a valid ground for divorce in Islam. If in a legitimate case warranting a divorce a husband refuses to divorce his wife, then she is certainly justified by Islamic Law to approach the proper legal authorities to get a divorce: The judgment of divorce thus rendered by such authorities can be deemed as valid in Islam. May Allah help us all to conduct our affairs with sound wisdom, understanding, sincerity, and faith, Ameen.